Why Study English in Los Angeles as an International Student? Studying in Los Angeles – the City of Angels – is be an unforgettable experience for an international student. LA is regarded as the entertainment capital of the world, and is also a hot spot for education, technology and fashion. This sprawling multicultural metropolis, which is home to almost 20 million people, has something for every international learner who wants to master English and gain valuable life experiences. The Los Angeles neighbourhood of Hollywood is famous all over the world for representing the glitz and glamour of film, television and music. Visit the Hollywood Bowl to see some of the best musicians in the world perform in this unique amphitheatre, or visit the Hollywood Walk of Fame which features over 2,000 handprints from global superstars of the last 100 years. Other attractions include the Chinese and Dolby Theatre’s, with the unforgettable sight of the Hollywood sign looming large over the area. Los Angeles residents benefit from a mediterranean climate, meaning warm and sunny weather throughout the year. Because of this, students can spend lots of time in LA’s famous parks and beaches. Santa Monica beach alone is 3.5km, while Venice, Laguna and Malibu are also popular destinations. Once there, you can paddleboard, cycle or simply relax and take in the beautiful sunsets. Los Angeles and California are liberal and multicultural places to live, with international students from places such as India, Japan, Korea and China all living here. The state also has a huge Hispanic population, and living in LA means embracing and experiencing new food, languages and celebrations. 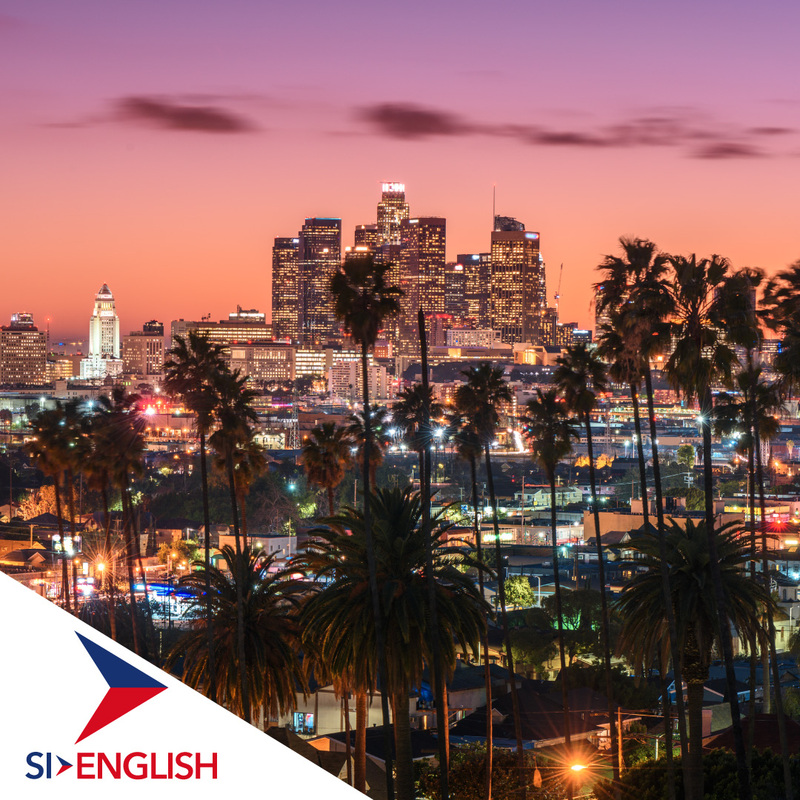 If you are interested in studying in Los Angeles, apply with SI-English today. We can help you apply to study in the USA and our 100% Free Service will guarantee you an offer letter from a school within 24 hours of your application being submitted!